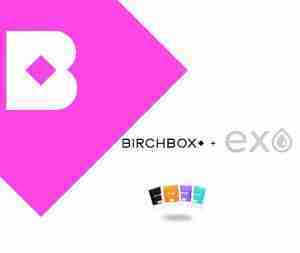 We are so excited to announce that EXO Supply is now partnering with Birchbox! Our EXO Pure Remover Wipes will be included in the Birchbox fall beauty boxes starting this September! 50,000 Birchbox recipients could receive 2 of our lavender EXO Pure Remover Wipes to try, along with other curated beauty items. EXO products will also be sold on the Birchbox retail site; including EXO Pure Remover 4oz bottles and 10 pack bundles of our travel-size remover wipes in lavender, orange, mint and unscented. EXO Pure Remover Wipes are perfect for removing even the most difficult polish, without the toxic smells and chemicals found in acetone (and even most non-acetone) nail polish removers. The convenient EXO wipe packets fit into any bag and they are ideal for traveling! EXO Pure Remover is glam, gentle, plant-based, and smells fantastic! You can whip a wipe out at any time to remove polish with ease and without annoying your friends/family/coworkers. So, what is Birchbox? Birchbox is a New York City-based online monthly subscription service that sends its subscribers a box of four to five carefully selected samples of makeup, or other beauty related products. These products include skincare items, perfumes, organic based products and various other high-end cosmetics. There are millions of Birchbox subscribers, and even though we are starting “small” with 50,000 boxes, we are hoping to continue this partnership for the next year or two! We are so excited to get our organic nail polish remover onto as many hands as possible, and we are so thankful for all the help and support from our friends, family, and customers over the past year and a half! Be Eco-Chic with EXO Supply!